Yeah! 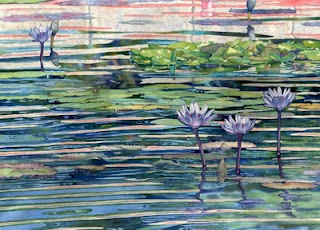 I have finished my waterlily painting in time to enter it in this years National Watercolor Society Annual juried exhibition! I finished up by painting in the lilies and lily pads. I also adjusted the water darkness in a few places where I felt it was too light. 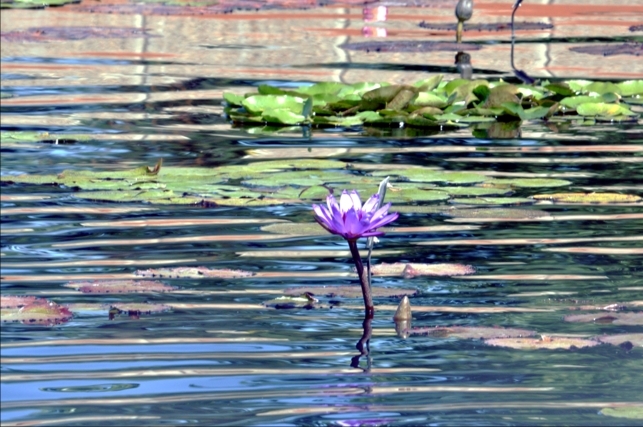 Below you can see the original photo and how I adjusted it for the final painting. 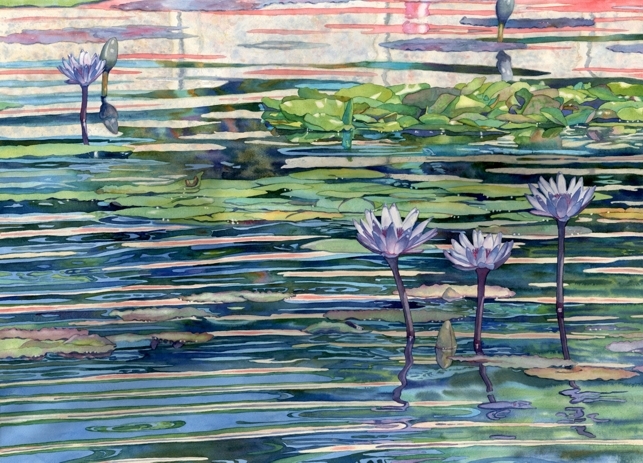 When I get a chance, which may not be until August, I will finish up the editing of the video I took while painting the waterlilies and place the videos on YouTube again. Wow!!! It is fabulous!! I would love to see the video. Just gorgeous! Can't tell the difference between the photo and the painting...quite photo-realistic...yet abstract in shapes. Like the additional flowers...really adds to the piece. Good luck with the NWS entry. 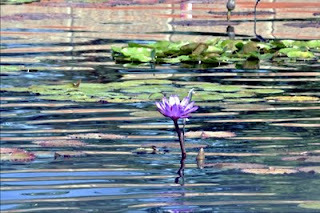 I really enjoyed doing all the abstract shapes in the water and the unusual colors. Thanks for the comments. I love your line marking and sense of movement. Very exciting and beautiful.